Lessons Learned: What Does it Take to Create a More Natural Stormwater Pond? This is a tale of an experience I had in Alachua County, Florida. The challenge? How can we encourage the construction of more natural stormwater ponds, which offer more wildlife habitat and more efficient ways to remove pollutants? Stormwater retention/detention ponds can be designed to provide multiple ecosystem services. The question is whether we we can find the right combination of regulatory policy, economic incentives, enforcement capacity, and public education to allow them to do so. We have all seen conventional stormwater ponds—deeply dug ponds, with mowed turfgrass and some exotic plants all around the perimeter. Often a chain-link fence surrounds the ponds. These types of ponds may be good at storing water, but they offer little in terms of wildlife habitat and do not efficiently remove pollutants from stormwater. Mowed and fertilized turfgrass around the pond only exacerbates nutrient loading to the pond, not to mention the amount of greenhouse gases that are emitted through mowing and fertilizing. Alternatively, increased native vegetation around the perimeter and within the basin (and decreased turfgrass) help to improve uptake of pollutants from the water and simultaneously provide wildlife habitat. Unfortunately, in Florida, the norm for stormwater ponds is mowed turfgrass throughout. How can we change this norm? We explored this issue in Alachua County, Florida. The stakeholders involved were scientists from the University of Florida, environmental consultants, city/county staff, and developers. We met over a number of years to develop policies that would encourage enhanced ponds. These enhanced ponds would contain areas that were not mowed and increased native vegetation. The goal was for these ponds to offer more wildlife habitat and be better at removing pollutants from stormwater. These enhanced stomwater ponds were nicknamed no-mow ponds. These included primarily detention ponds (that hold water for short periods of time) along with a few retention ponds (that maintain a pool of water throughout the year). Below, I describe a four-part account to create policies that promoted these no-mow ponds and lessons learned. educational signage is required explaining the purpose of the no mow ponds because they were designated as open space and not mowing them was unconventional. To see language of actual code adopted, go to the following link and scroll to Chapter 407.56 through 407.58 (https://growth-management.alachuacounty.us/formsdocs/uldc.pdf). To encourage the creation and maintenance of these no-mow ponds, the county adopted a new incentive policy and made it available for developers to try (voluntarily). It was a voluntary incentive because developers were not required to create these no-mow ponds, but if they did, they were allowed to count these ponds as open space credit. In Alachua County, a current zoning regulation exists were approximately 20-50 percent of proposed developments have to be designated open space. Normally, stormwater ponds were not counted as part of the percentage requirement for open space; however, if the developer created no-mow ponds, the footprint of these ponds could be counted towards the open space requirement for the property. The developers that adopted the construction of no-mow ponds could ultimately build more homes on the site because the remaining open space requirement is reduced. Thus, a big financial incentive! Fast forward a few years. Several developers applied and received the open space credit, and created no-mow stormwater ponds. However, upon inspecting these installed ponds, a majority were mowed and had very little native vegetation. The developer had already received the credit but now the designated no-mow ponds look like conventional ponds. What happened? Essentially, there was no robust mechanism to monitor and make adjustments once landscaping companies took over maintenance or when people moved into the neighborhood. A combination of factors were at work. Foremost, most of the landscaping companies were used to mowing the basins and perimeters of retention/detention ponds so they just continued to do so. No information about the unique management of these no-mow ponds was passed down. When these ponds were located in neighborhoods, residents saw these “scraggly” ponds and they convinced the landscaping company to mow them. Additionally, the educational signs that were installed (to inform the residents and maintenance crew about these no-mow ponds) were the size of a postage-stamp, and did not explain the rationale of these enhanced stormwater ponds. Finally, there was no claw back provision on the permit, so that if these ponds were not functioning as intended, the developer would lose the open space credit or the developer/homeowner association would be fined. With no oversight, the no-mow ponds turned into conventional ponds. Because of these initial failures, we (developers, city/county staff, and scientists) reconvened in 2014 and brainstormed about how to improve the policy to achieve long-term, functionally enhanced stormwater ponds. I (and others) mentioned the problem of no oversight and lack of communication with landscape maintenance companies. Extension services (University of Florida) could be used to train and certify landscaping companies in the region about maintenance of these no-mow ponds. Extension is the outreach arm at the University of Florida, and each county has hired personnel to interface with the public. To get open space credit, the developer and homeowner association (HOA) could only hire these companies to manage these ponds. Because the developer is benefiting (monetarily, from the open space credit), he/she would set aside some money that would be used to hire a third party monitoring person that would visit the ponds twice a year. After the developer completes the community construction, the HOA is structured in such a way that a portion of monthly dues is set aside to hire a third-party monitoring entity. The fund includes enough money to make amends when things are not functioning. A significant fine should be levied to the developer if during construction of the community, these ponds fail to be maintained appropriately. After developer leaves, there is a mechanism where the HOA has to keep up with the maintenance, and if not, a significant fine is levied on the HOA. I suggested that we require significant (i.e., more conspicuous) signage that really explains the purpose of these ponds and why they look the way they do. 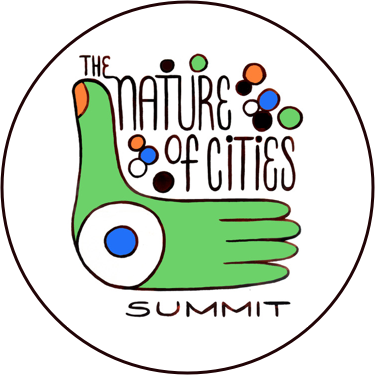 To see examples of these educational signs, visit https://www.thenatureofcities.com/2015/06/14/how-can-we-engage-residents-to-conserve-urban-biodiversity-talk-to-them/. Of the four suggestions, only the significant signage requirement was considered as a draft revision to the code. The third-party monitoring, levying fines, and limitations on types of landscaping companies received significant resistance from the developers in the group and even county staff thought it would be too difficult to monitor and levy fines. From the developer perspective, reading between the lines, they wanted the extra open space credit but did not want to give up control of who maintained it and did not want to open themselves up to fines. Moreover, developers said the third-party monitoring would cost extra money even though building a few extra homes (the credit) was a significant financial benefit. From county staff perspective, I think the staff recognized that these first three solutions would be more robust, but they hesitated because it would be difficult to create and write up the mechanism for monitoring and levying fines. For example, which county staff would oversee the third-party monitoring and maintenance by an appropriate landscaping company? Who would check and levy a fine? The county staff were already stretched thin, and while University of Florida Extension could step in, train landscaping companies and even monitor the ponds, the regulatory part (levying fines) would still fall on county staff. Who would do this? In addition, there was confusion about who actually had regulatory authority among different county departments, and these representatives were not always at the table in these discussions. Thus, the larger signage requirement was placed into the proposed policy revisions along with some proposed modifications to the pond design. Although I was not entirely happy with the outcome, at least we implemented the improved signage into the review of open space credit applications. 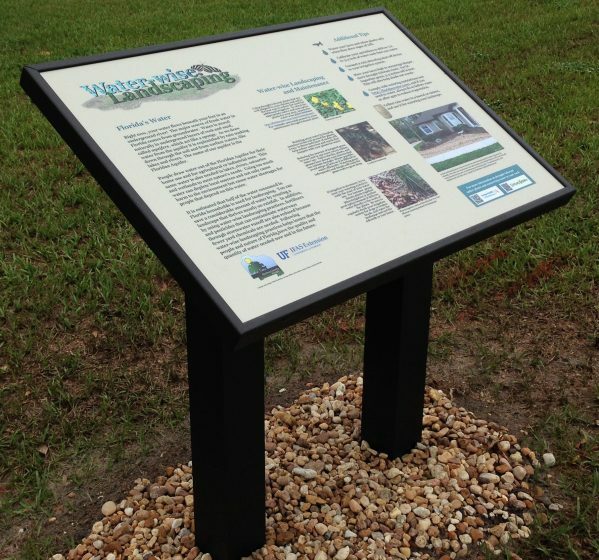 Although not formally adopted into code (as of yet), the improved signage and improved modifications to the pond design were communicated to developers (by Alachua County staff) as essential to obtain open space credit. 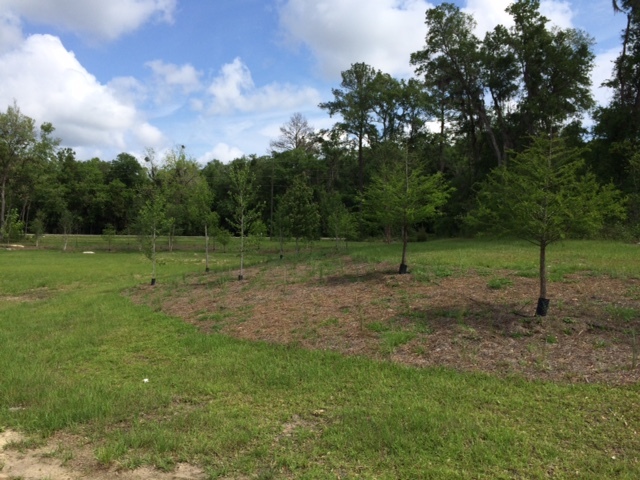 To see how the new and improved requirements would play out, I became involved with a development in Gainesville that installed the no-mow ponds. Working with county staff and a developer that had received open space credit, we ran into some issues regarding the maintenance of these no-mow ponds and in installation of the signs. First, it was very apparent that the developer and site manager (my main contact) had no idea about what these no-mow ponds actually meant. This is likely because there had been no communication between the engineering consultants that applied for the open space credit and the site manager. It took a lot of back and forth (with county staff involved) to get the developer to recognize that these ponds were special and required proper signage and a unique maintenance regime. Were the ponds mowed? They were, at first. Initially, the site manager communicated to county staff and myself, in emails, that the ponds were not being mowed and that the hired landscaper understood what was to be done. However, several spot checks revealed that the pond basins and sides were still being mowed. Instructions about the no-mow areas were not communicated to the hired landscaping company and their workers. It took quite a bit of effort on my part and that of the county staff to educate the people overseeing the landscaping company that these areas should not be mowed. Overall, the developer and site manager did not put much emphasis on how important it was to maintain these ponds in the spirit of the original design and management plan. If it were not for myself and dedicated county staff to go back multiple times, take pictures, and communicate repeatedly, I strongly believe that these ponds would have turned into conventional ponds as before. To date, though, it seems the basins are not being mowed. But who knows what will happen two to five years down the road, especially when the developer leaves and the homeowner association obtains control of managing these ponds? A required funding mechanism where a third party bi-annually evaluates no-mow stormwater ponds to assure that they are functioning as intended. Developers and HOAs are required to hire only approved landscaping management companies that know how to maintain these no-mow ponds. Fines are levied on developers and HOAs that do not maintain the ponds appropriately. Education signs are required to be installed with no-mow ponds that explain to residents why they are not being mowed and their purpose, describing how they benefit people and nature alike. Monitoring and evaluating the functionality of any landscape design is typically difficult for government entities to do. Although requiring a third-party entity to monitor the ponds helps to maintain the enhanced stormwater ponds, the regulatory side still needs to be handled by government. Thus, some city/county resources must be allocated to hire additional city/county staff. One funding possibility is that a portion of stormwater taxes to be set aside to hire personnel to oversee the long-term monitoring of enhanced stormwater ponds. Additionally, some governments have the capacity to assign responsibility to current staff, but early communication and agreement should be established before adopting the new policy. A local government will adopt a new policy, which contains government oversight, only when a clear path towards government capacity is established. We have a traditional detention pond on our k-12 campus – it has three springs which lead to a central small stream and it has naturalized into a wetland. My grant was just funded and construction has started on a boardwalk and teaching platform through the center of it. Our students will get to explore, study, research and learn from this area. 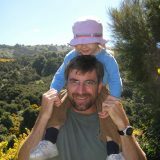 I have plans to do citizen science projects (water quality, amphibian counts, FrogWatch, etc). and to start planting native aquatic plants as well as wildflowers on the high ground. I am glad to have run across your article! Felix and Storm: Yes, education and understanding among residents will help with decreasing human/wildlife conflicts. For example, up front, people should be aware of not feeding alligators in these ponds (as they will lose their fear of humans). It is not about changing wildlife behavior but changing human behavior. I often thought of training stewards in each of these communities as being a source of information for other residents. Kimberly and Allison: It is very difficult to get buy in from homeowners as the succession of these ponds tend to be “unsightly” at first. If folks could see a mature example, e.g., the SEEP pond at UF, then it can go a long ways to show the ecological and aesthetic value. 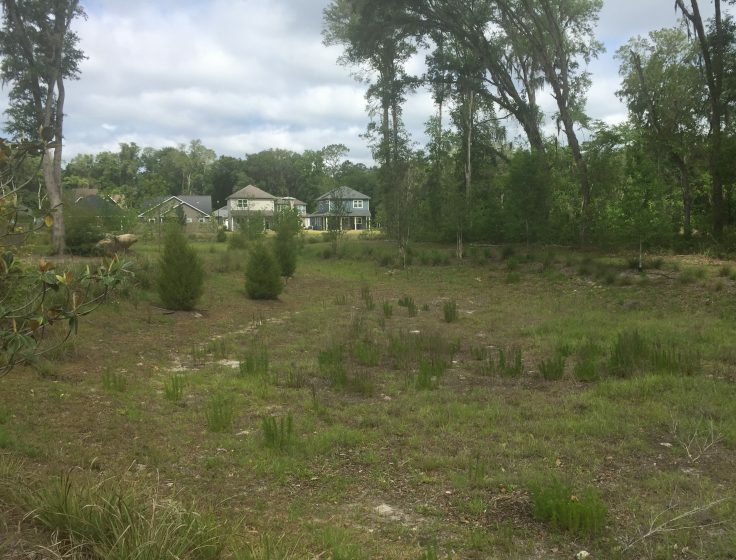 Heather – there has not been a concerted effort to reach homeowners near these no-mow ponds. I see a graduate project on this! Lauren: I wonder if there is any liability difference between and enhanced pond and a no-mow pond? To me, the odds of spraining an ankle is similar. We have city parks with open space and forests . . . Not sure though as I am not a lawyer but interesting question. I thoroughly enjoyed your presentation along with this article for more information. Having the no mow ponds incorporated into the current zoning regulation where ~20-50% of proposed developments have to be designated open space is an excellent idea that will only further help developers gain interest in the cause. You mentioned that although the ponds aren’t currently getting mowed, in a few years when the developer leaves and the homeowner association obtains control of managing these ponds, it is uncertain what will happen. Is there some agreement or regulation that can be implemented to ensure that these no mow ponds will persist long after the developer leaves? Thank you Mark. I enjoy learning bout no-mow ponds initiative (especially the retention ponds) for conservation of biodiversity in cities. Stakeholder engagement is an opportunity for individuals to participate in biodiversity conservation in cities. Conspicuous education signage will contribute to the awareness of the need and the outcomes for no-mow ponds. I wonder if this can be combined with other awareness campaign tools (at colleges for example). I just have a curious question, has anyone studied human wildlife conflict that might be associated with no-mow ponds? I talked in length about the storm water issue with my boyfriend who is starting to work on a storm water project right now in Atlanta. Apparently, they are already having discussions about making it green and incorporating a flood plain. He also said that biodiversity is definitely a hot term these days in masters planning courses, so these are all really encouraging things! He did bring up one possible legal issue I was wondering if you’ve encountered yet. Since these storm water ponds would be non-mowed, natural, and open for people to walk around, the city would take on liability for falls/breaks/twisted ankless in the tall grass. Has this been discussed already/would there be a warning incorporated with the explanation sign? I notice a lot of these mowed stormwater ponds around businesses, and not just in neighborhoods. Are the policy barriers similar in these cases when approaching land owned by a business versus a homeowners association or is it a similar process in trying to set up no mow ponds with appropriate sinage? I would assume businesses might fight against no mow ponds more strongly if they are concerned about aesthetics of their land, depending on the business. With these no-mow storm ponds have there been research efforts to quantify the resulting water quality and improved wildlife habitat? Personally, these improved retention ponds seem more aesthetically pleasing and environmentally friendly. Along with proper signage around the ponds, I think ruling out this being an “incentive” and forcing it on developers wouldn’t be a bad idea. Or possibly over the years these no-mow ponds could catch on as more of a social norm. I would be interested to see what you think about the retention pond in the Townsend neighborhood off NW 31st Blvd. It is a large pond that usually always hold water (it did dry up near the end of summer however). I think it is somewhere in the middle between a conventional storm water pond and an enhanced pond. A majority of the surrounding area is woody. The perimeter is partially mowed but there are several large native trees around the waters edge (sweet gum, cypress, cedar). I have seen anhingas, egrets, a cottontail rabbit, many species of frogs, nonvenomous snakes, turtles. I think if the mowing were to stop, it would have the potential to an excellent area for wildlife right in the middle of northwest Gainesville neighborhoods. I enjoy walking my dog around the perimeter as do many others. I think many people object to an no-mow storm water pond because of the wildlife it brings, unfortunately. I think a lot of people fear for the safety of themselves, their children, and pets and do not like have potentially “dangerous” wildlife so close to their homes, including alligators, cottonmouths, toads, etc. Plus a lot of people are adverse to the “scraggly” stage of early succession. I think a survey of neighborhoods would be interesting to see what people know and how they feel about enhanced ponds. Thanks for fighting the good fight! Communication seems to be a focal point in making this concept wide-spread among the public while making it simple to follow. I think some creative ways could be implemented with signage around the ponds, but also booklets or pamphlets explaining how it works and what maintenance it requires. I wonder if a graphic symbol or “brand” could be used at these ponds to connect with people’s memory and simplify advertisement of these ponds. Could you apply a tax on the specific open space credits involved so that it’s part of the same transaction, then select a third party to receive the tax? I could see landscaping companies adopting this as an alternative management practice if they were to successfully communicate these benefits to clients. Haqiq: It would be interesting to start a working example in your city. The trick is to find the right mix of folks that could make it happen. Once the first one is done, it is easier for others to build. Not knowing your city, I would suggest finding a city park where they could try and establish a working example. Could educate the public at the same time as well about the benefits. It is hard to understand why good ideas that seem really simple don’t catch on. It is 100% easier to not mow than it is to mow. That being said, do you think that this would work for some areas that are similar to stormwater ponds? Like if every housing development needed to offset some proportion of local forest for every x amount of acres that they develop on. I know that some cities have incentivized people to leave their lawns natural as habitat, but maybe it would be more valuable if it was just 1 whole lot for every so many houses. This is a great initiative Mark, something that is never considered in developing countries. I really liked the idea and the experiment of no-mow ponds which turns into a small piece of land enhancing environment and biodiversity. As you mentioned this could be strange to the general public as a starter but when it turns into success, soon after people will get to learn from it. What would be your advice for ponds and wetlands in developing countries? Where people do not care about such initiatives and instead overgraze any little grass available. I guess, there would be an enormous need to educate people prior to such experimentation in developing countries. The benefits that this brings to the environment and how biodiversity would be enriched with such expriment. My city although it is reasonably small in terms of area but has a large population and as a result polluted too. Therefore, I would like to start sharing this idea with my community and the long term benefits associated to it. So if I like to introduce this idea, where shall I start and how to involve different stakeholders in this process? I fully support the idea of more natural storm water ponds, but understand how difficult it may be to implement. The community my parents live in has 2 turf grass retention ponds that are heavily landscaped. The homeowner’s association for the community can be quite strict, since they won’t even allow lawns to grow higher than an inch or two. In this case, I feel education about the benefits of natural ponds could encourage them to stop landscaping. Though the biggest incentive would probably be the money saved from cutting landscaping fees. Though it is a shame, that more developers don’t try to implement these new ponds. Especially in Gainesville, since it benefits them two-fold as it allows for more house development and reduces maintenance costs. I was not familiar with the concept of stormwater ponds since as far as I know, we don’t have them in my country, the Dominican Republic. This is probably one of the reasons that cities such as Santo Domingo (which looks everyday like a concrete jungle) tend to become flooded so often. I can tell that you are very passionate about the topic which might seem insignificant for a lot of city dwellers because of their lack of knowledge on the importance of maintaining the natural aspects of no-mow ponds. In a lot of cases, the failure of implementing a policy is due to bad communication and the non-participation of the parties concerned. This shows how important education is to disseminate knowledge. jesse: Good thoughts. It is difficult to get buy-in with already established neighborhoods. Often, one needs a champion to float the idea around and try it out. Preferably somebody on the HOA board that could make a recommendation. 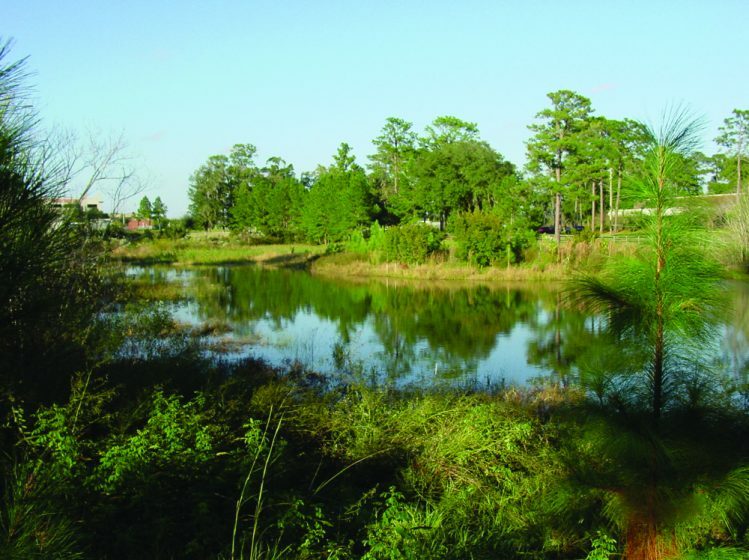 Stormwater ponds are essential to Florida. With daily storms and as much as 70 inches of rainfall a year during Florida’s wet season, it can cause a lot of damage and harm if the water doesn’t have somewhere to go. While these ponds are providing storm water retention, they also provide pollutant removal from through biological uptake. In addition to Nitrogen as a pollutant in rainwater/stormwater, I am familiar with other pollutants of concern such as pathogens/bacteria and phosphorus. I can’t help but think that wetland protection is the real solution to most of these problems. Wetlands remove 70-90% of the Nirtogen in stormwaters, and microorganisms in wetland soils process phosphorus pollutants, and soak up stormwaters like a sponge. Wetland degradation and removal from urbanization has put natural and original wetland areas in danger. How often do you find that urban residential developments are encroaching or replacing on natural Florida wetland habitat only to be attempted to be replaced later by stormwater ponds that do half as much? I agree with Bella about turning some more attention to the residents in the development. I feel that giving them personal attention in regard to the purpose of the ponds may help to prevent future mowing by landscaping. Maybe conducting surveys to better gauge how to educate residents on the benefits of the no-mow ponds as a more natural open space, a means of filtering the stormwater and runoff as it moves through the litoral zones, or the benefits of wading birds and wildlife viewing made possible in their backyards. Knowing how best to educate the residents and get their support of the projects may make the road to success less bumpy. I do think the more conspicuous signage will help a passerby understand the purpose of the “scraggly” pond much more. Rebekah: Not many retro-fits but we are working with Alachua DEP to retro-fit some ponds in county parks to create examples. A long process but stay tuned! Hi Mark! Thanks for the insightful article and sharing your experiences about the challenges and successes with no-mow ponds. 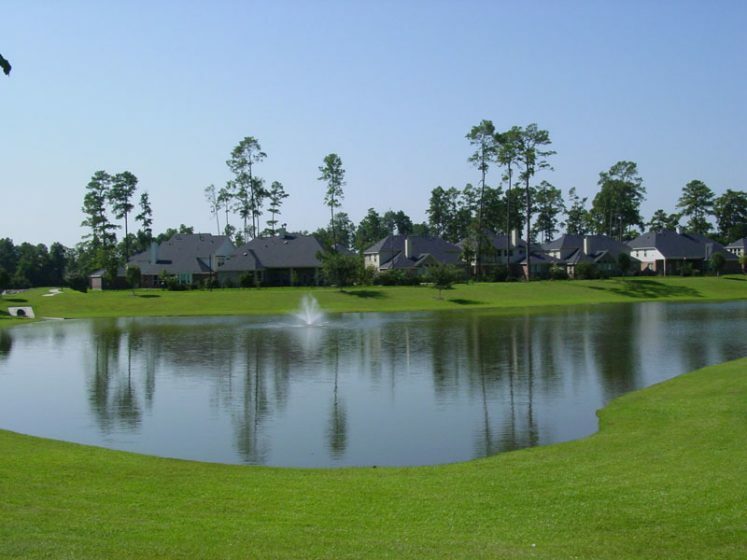 As a new resident in FL, I have noticed more and more of these pond areas, particularly in well-manicured neighborhoods, and it certainly appears to be under-utilized space with great potential, as you mention. As I was reading your article, particularly your suggestion for a third party to evaluate the ponds to ensure proper function and education for homeowners, I wondered if there has been any talk about using citizen science, or training small groups of invested individuals to take on leadership in these areas? It would be cool if there were some sort of app where they could record photos of changes in the pond areas, recent wildlife sitings, or other ecological observations and perhaps this could all go into a larger database for later evaluation of the efficacy and function of no-mow ponds. Of course, this would require staff to train volunteers on the software, etc. but seems like it could be a cool way to extend the outreach and help people interact with their green spaces (or lack thereof!). Best of luck with all your work! What some other people seem to be commenting on is increasing the education efforts about the positives of having a no-mow stormwater pond, and I agree this is a very important aspect of this controversy. If more noticeable and detailed signs could be put, that is always helpful. While I agree trying to educate the homeowners themselves would be a great step to take, I think also trying to educate the kids within each area can be very effective. If a kid goes home and starts talking all about how great these wild ponds are, their parents would be much more likely to listen and advocate for these ponds as well. Granted, I have no idea how anyone would go about teaching kids about no-mow ponds, but maybe through family oriented events within neighborhoods could be one way. In order to convince the public and stakeholders that no-mow pond it’s necessary, what kind of explanation or evidence you can give to them based on previous research? How much improvement of the habitat you predict to explain to stakeholders the investments and changes they need to make for the no-mow policies to work? Is there any reason for which mowing a pond would be better than a no-mow pond? I think this is a great idea. It is a bit disheartening to see it did not succeed before but I love all the suggestions for improvement you made. As a UF student in a very extension heavy major I think this might be the most applicable suggestion. I do wonder though, could you have a similar UF extension program dedicated to educating the homeowners? You could work with the HOAs to have meeting times and try to make them truly understand the significance of these no-mow stormwater ponds. Although it seems to be like there are still quite a few issues to work out with creating new no-mow ponds, would it be feasible to try and convert already made ponds to no-mow ponds? What types of different types of incentives be offered in this case if any at all? It seems like it would be a good idea to try and convert more ponds, but also seems like it could be much more difficult to do this. I saw another comment about the idea that some people prefer the no-mow type of ponds to the traditional type. I wonder if there could be a possibility of spreading awareness about no-mow ponds and if homeowners would actually want to convert ponds. It must be such a challenge to assure maintenance of the no-mow stormwater ponds, especially when your first 3 suggestions, that included some form of monitoring or collection of taxes, are met with such resistance. It is understandable that there is resistance to anything that includes a tax or increasing the resources necessary for the program to function , but it definitely makes sense that without accountability, there is very little incentive to maintain the stormwater ponds once the open space credits are received. I thought Kelley made a really good point, I wonder how beneficial providing CBA’s to the developers would be to demonstrate the actual benefits to them, beyond just the credits. I also started to think about the possibility of somehow incorporating social norms? Do any of the informational signs have pictures of what the stormwater pond is supposed to look like? Perhaps sharing those images so residents know what their pond is supposed to look like (if it begins to be mowed, etc), and the benefits to them and the surrounding wildlife, can maybe start a voluntary monitoring program. There can be a number or website for them to reach out to if they notice their pond is beginning to be mowed (although, I could see how developers or HOA’s may feel like this is a way for their communities to “tattle-tell” on them). Perhaps also starting programs, like bird or wildlife watching at their local ponds for the communities so they can experience the different opportunities of the ponds, so they may put pressure on their HOA’s to maintain the pond. The second option would likely need additional resources, so I realize that may also be met with resistance when trying to implement. I guess my thought process was very similar to Bella’s, involving the homeowners, but possibly addressing the concern you brought up about involving them too early in the process. I think specific signage indicating where landscaping crews are not to mow could be effective at reducing vehicular grass-slaughter along ponds supposed to be no-mow. You said a purpose of the educational signs was to inform maintenance crews, but given general knowledge and what you said about developers/etc. not seeming to understand what “no-mow” means, I doubt even the larger educational signs are likely to be read by crews or heeded, even if they carry specific instructions to crews. I wouldn’t expect an educational sign to carry instructions I need to follow if I were mowing, I think I’d just do my job (unless crews are told to read and follow the signs, but signs saying “NO MOWING _____” would stand out and not require overseers to tell new people to look at the educational signs). My apologies if what I say is irrelevant because the educational signs already have that or companies are specifically ordering full mowing. I think that the no-mow ponds are a great incentive for developers and are very beneficial to wildlife. I was wondering if there has been any work done to try and convert the older more conventional mowed turf ponds into these no-mow ponds in older residences? And if so how did those residence respond to the change? Heather: I wish there was more venues to speak with homeowners directly. Yes, the signs are passive education but from my experience, it is difficult to get the “average” homeowner to a sustainability presentation. Typically, we just preach to the choir. Perhaps there could be a block party where a booth is set up to raise awareness. One has to be creative to reach the people one wants to reach, especially in neighborhoods. Bella – good thought to involve homeowners at the beginning. But I wonder what happens if they are not aware of pond alternatives (and how beautiful they can be) and most of them want to see mowed turfgrass up to the edge? Do you give people what they want? Elena – the environmental education study did not ask specifically if they could comfortably identify certain wildlife species. More on general wildlife awareness and management. For example, Is it OK to feed Sandhill Cranes? You mention working directly with developers and landscapers, and educating them on the importance of these no-mow ponds. Has there been any effort/success on speaking directly with homeowners and garnering their support, instead of just placing educational signs? One way that may aid in resolving this dilemma could be by turning some of the attention to the property owners. If you addressed them at the community or individual level, you could allow them to come up with an a prior consensus or agreement about what they would like to see (in aesthetic terms) in the retention areas while still abiding to the guidelines. This would both raise awareness within each community about the intentions of the ponds, create norms within the community, and give the homeowners a sense of increased involvement and importance. I love the incentive of offering open space credit, but I wonder if there are other possible incentives for places like golf courses to keep their ponds more natural and productive. With being from South Florida I can only imagine the possibilities for urban biodiversity if these barren golf courses can turn around and contribute. It seems that communication is key here and there needs to be some improved surveillance of participating sites. I followed the link provided to learn more about the signage provided, and read about the study conducted assessing whether or not the signs worked and saw that based on the study, the signs did a great deal to increase environmental attitudes and behaviors. I was wondering, though, have there been any assessments on how much more (factually) community members know about local wildlife before and after the implementation of the signs? For instance, can they identify birds that they once couldn’t name, etc.? Has there been a study on how well the signs are working specifically in the context of the stormwater ponds? Thanks! Kelley; Yes, ponds can be re-sculpted (but is difficult) but if anything, the edges could be “no-mow” to create more wildlife habitat. 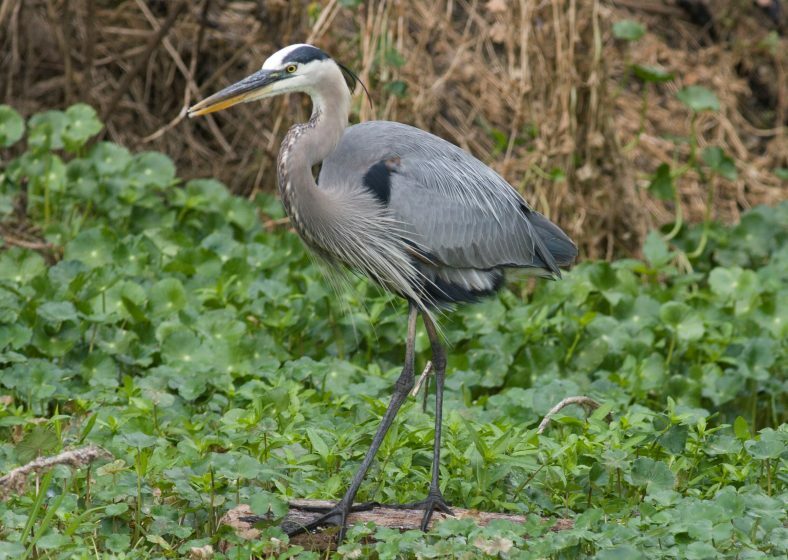 Hello Kelly: Yes., there has been studies on riparian areas in cities and how they benefit birds and other wildlife. The vegetation along wet areas are very attractive to migrants for example. It would be interesting to do a cost/benefit on management. I think not mowing would be a cost savings for developers and homeowner associations. That savings could even be used to manage for invasive exotics and to restore areas with natives. Good question though, I think it could persuade developers to construct enhanced “no-mow” ponds if they can be shown it would cost less to maintain. J.Cole – and no, there has not been a survey on opinions of enhanced stormwater ponds. (that I am aware of). Hello J.Cole: Resolving human-wildlife conflict is really about educating and raising awareness about human behaviors and how they affect wildlife (e.g., feeding alligators). Conventional ponds still attract problematic species such as alligators and some snakes. Thus, I think increased vegetation along edges may actually create a barrier and refugia, decreasing negative interactions. But again, education of nearby residents is crucial. Moving forward, I think it would be great if the city could figure out a way to better monitor new “no mow” stormwater ponds in developments. However, concerning older, existing ponds: Is it possible to retroactively alter conventional ponds to create a more natural wetland environment? Existing retention ponds in older developments may be deep in the middle, but is it possible to add a more gentle sloping effect to the edges to create wetland area and to serve as wildlife habitat? Hello Lauren: Unfortunately, conventional inertia is very strong. It takes the right situation to have an enhanced stormwater pond built. However, once one is installed, incentives could be used to encourage late adopters. Hello Therese: Yes, there is a balance between totally wild and maintained for human use. We have had ponds were a portion has a trail around it and some areas off limits as habitat for birds. So yes, depending on the pond, it can incorporate wildlife viewing and wildlife habitat. However, a sign would be needed to discuss how human behaviors could impact wildlife in and around the pond (e.g., dogs off leash, planting invasives in the nearby yards, and even dumping grass clippings and over fertilization of lawns that then these pollutants end up in the pond, impacting it. You mentioned an incentive for developers creating no-mow ponds was being able to count the acreage towards open space credits, where a typical stormwater pond does not. Has there been any research on the quality of no-mow ponds as habitats compared to other “open space” in a development? Being able to determine the effectiveness of no-mow ponds could potentially lead to a weighted system, where more effective habitats earn more credit. Also, has there been a cost-benefit analysis done on these ponds compared to a conventional pond? It would be interesting to see the CBA from the perspectives of the developer, the landscapers, and the community members to help identify where the mismanagement is occurring and why. Has there been any surveying of the communities where the stormwater ponds are to asses their opinions on mowed vs. no-mow ponds? I personally find the no-mow ponds more aesthetically pleasing, and I would love the wildlife that comes with it, but that perspective is not shared by all. The specific question that came to ind: does having no-mow ponds increase human-wildlife conflict? The lack of maintenance would allow much of the native wildlife to live in close proximity to the general public (in some cases the wildlife is there anyways) – cottonmouths and alligator alike – but, would giving them a more ‘naturalistic’ environment keep the animals contained (as long as no one feeds them)? I have experience with a neighborhood in Miramar who has been having an issue with cottonmouths ending up in the front and back yards of homeowners which has resulted in a handful of bite incidents. I do not know if their retention ponds are mowed or no-mow ponds, but I am curious if providing increased naturalistic habitat around these ponds would influence the rate of human-wildlife conflict in a positive or negative manner. Do you have any opinions or information on this? I see that the first time the idea of the creation and maintenance of no-mow ponds was through voluntary action. Why weren’t there some counties willing to put aside certain areas for mandatory no-mow ponds? Surely the designated areas within these potentially few tested counties could make an incentive to get more people to agree and enforce this method, as well as understand the importance of the maintenance of these areas via tactics such as the utilization of no-mow pads. As the human population is growing and ever-expanding, tactics such as these should become more accepted and perhaps even enforced to a greater extent. My home neighborhood has a retention pond just off of a nature preserve. Similar to what you stated, any one can go up to the water or walk around and it has nonnative trees around the edge of the water, but there is no turf grass surrounding the pond or nearby forest. However the surrounding area is still mowed so that people can walk around both areas. This seems more like a middle ground between the scenarios you’ve spoken about. Do you think this kind of thing would be more accepted by public with or without signage explaining it? We don’t have signs at this pond and it seems to be doing fine. To anybody – have you seen or been involved with an enhanced stormwater pond? Have pictures or Web site showing these ponds? Would love to get more examples. Hello Laura: Good to hear from you. We did consider working with land trusts but they only work with landowners with larger areas of habitat. These stormwater ponds are too small. Do you think certain land trusts would be able to work with such small areas? How could they do this? Or, maybe hiring staff from these land trusts to monitor but there is no traditional conservation easement agreement between the land trust and the HOA that own these ponds? The ongoing monitoring issue for no-mow stormwater ponds sounds similar to the need for perpetual monitoring of conservation easements. 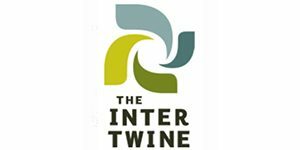 Have you all considered land trusts as potential holders of monitoring responsibilities?